Norway has overtaken Russia as western Europe’s top gas supplier, data from state firms shows, indicating the European Union’s drive to reduce its dependence on Russian energy is bearing fruit. The sharp drop in oil prices has been another factor, as Norway offers more flexible pricing and big buyers held off buying from Russia in the hope the fall in crude price levels would eventually filter through to Russian gas. Norway exported 29.2 billion cubic metres (bcm) to western Europe in the first quarter of this year, figures from Norwegian state operator Gassco show, while Russia sold 20.29 bcm, according to data from Gazprom’s regulatory filing and Gazprom officials. 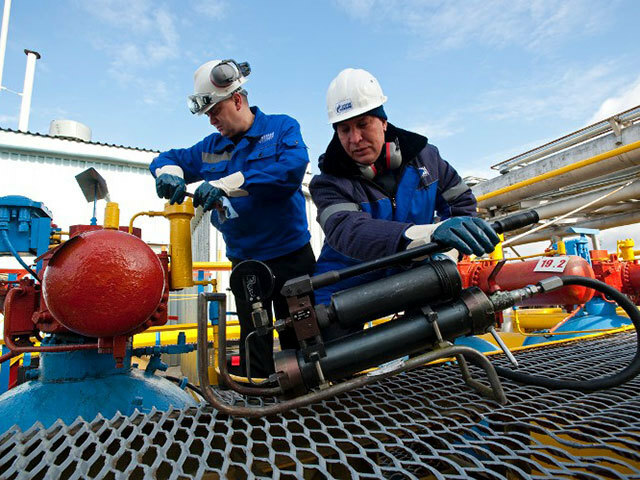 The data showed the trend began in the final quarter of 2014 when western Europe bought 29.5 billion bcm from Norway and 19.8 bcm from Russia, according to Gassco and Gazprom respectively. Exports to EU members in eastern Europe are not included in the data. It was the first time Norwegian exports have convincingly overtaken Russia’s since a brief period in 2012. The European Union has been striving to reduce its dependence on Russian imports and buy more from Norway and other gas producers, mindful of Russia’s dispute with Ukraine, the biggest transit route for Russian exports to the EU. Some EU firms have held off from buying Russian gas this year in the hope oil-indexed prices will drop later in the year, while Norwegian capacity has been boosted by the end of an outage at Troll, which produces around 30 percent of the Scandinavian country’s gas. Troll returned to full capacity of 120 million cubic metres per day in March last year, but volumes were deliberately kept low over the summer months in line with reduced demand. The European Commission, the EU executive, said that for 2014 as a whole, Russia was still the main EU supplier, but its total share of imports dipped to 42 percent from 43 percent and in volume terms fell by more than 10 percent. Norway’s share of EU imports increased from 34 percent to 38 percent in 2014. Apart from a geopolitical row over Russia’s annexation of Ukraine’s Crimea region, Moscow and Kiev are locked in a dispute over the price Gazprom GAZP.MM charges Ukraine for its supplies. The European Commission negotiated a three-month supply agreement between Moscow and Kiev at the end of March. Piling on the anxiety for Gazprom, Ukraine has also been seeking to use more reverse flow supply from the EU and take less Russian gas. In many cases, the gas it is receiving is still Russian, although cheaper than that offered in its long-term supply contract with Gazprom.